Papermaking has ancient origins which are still not completely known. According to tradition paper was produced for the first time in China in the year 105 A.C. using paper mulberry bark. It spread to various other countries at a much later date, in fact after 500 years, as the Chinese were determined to defend their secret. It was not introduced to Europe until around the C9 th by Arab merchants and production did not begin until after the C10th . Italy was one of the first and most important papermaking countries in Europe. In fact, some of our historical mills dating from their origins in the C12th are still operating today. The growing use of paper over the course of history HAS led to the search for more and more efficient production processes, developing from a manual method to an industrial method, and from rags to cellulose as the main raw material. 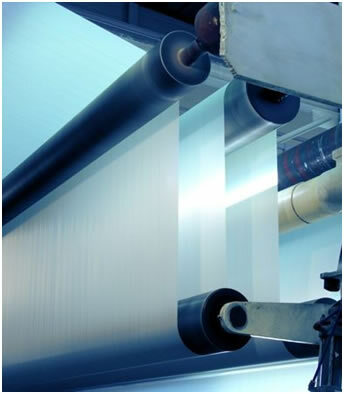 Currently the papermaking industry is a driving sector in continual growth that is investing heavily in the development of new techniques with the aim of guaranteeing higher productivity and lower manufacturing costs. 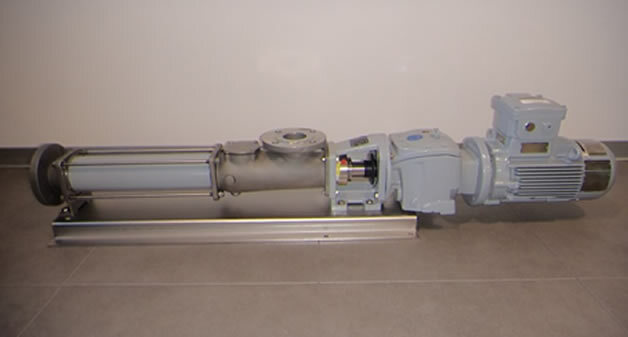 Progressive cavity pumps perform best during the various processing stages, as they ensure reliability of use and efficient fluid conveyance throughout the entire production cycle, from the transfer of pulp to the transportation of waste water from the various forming and coating processes to the subsequent purification treatment. This industry is the ideal application for progressive cavity pumps because of the nature of the treatment sludge, which has a high percentage of solids content that increases during the various treatment stages, tends to plasticize and has adhesive properties. Progressive cavity pumps perform best in the various stages involving the transfer of this matter as they ensure effective and reliable performance, which are of vital importance for a waste disposal plant, and higher output levels compared to other pumping systems. Nova Rotors has been operating in the papermaking industry for years providing the best possible solutions, a wide range of products, services and expertise to find the most suitable configuration based on the customer’s specific requirements. The various testimonials received from our customers both in Italy and from around the world over the years attest to the commitment of a dynamic company focussed on meeting constantly growing market demands. Special solutions have been designed for this industry for pumping fluids containing fibrous materials such as pulp and auxiliary treatment substances with different densities such as resins, kaolin or synthetic substances like dyes. Using Nova Rotors pumps guarantees precise metering, pulse-free delivery and adjustable speeds to provide the best performance and low operating costs compared to other pumping systems. Nova Rotors progressive cavity pumps are developed scrupulously in compliance with the strictest industrial standards to guarantee high standards of quality, reliability and duration, by providing the best solutions for the production process. Special attention has been given to each transition from one process stage to the next, by making various construction types available in order to optimise each transfer. Particular attention has also been dedicated to the seal systems: the range available for this industry also includes cartridge seals which guarantee excellent performance, high reliability and reduced maintenance, as a result of the very low replacement frequency required. 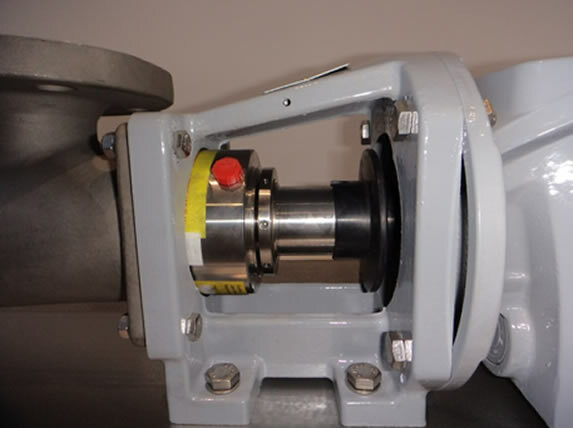 Flanged industrial pump for pumping dyes, fillers, fixatives and other substances used in the paper forming process. DH: hopper pump used to transfer cellulose pulp to the metering system. The cellulose pulp obtained through a mechanical or chemical procedure for separating the cellulose fibres from the wood, can be pumped regardless of the procedure from which it is obtained, thanks to the vast availability of special materials in contact with the product used to make the pump. DHP: hopper pump with bridge breaker blades for pumping pulp obtained from waste paper. The blades, with a separate drive unit, prevent bridging and ensure an optimum feed to the auger screw. DHB: pump with double bridge breaker shaft used for pumping paper pulp obtained from rag pulp, with long or short fibres. 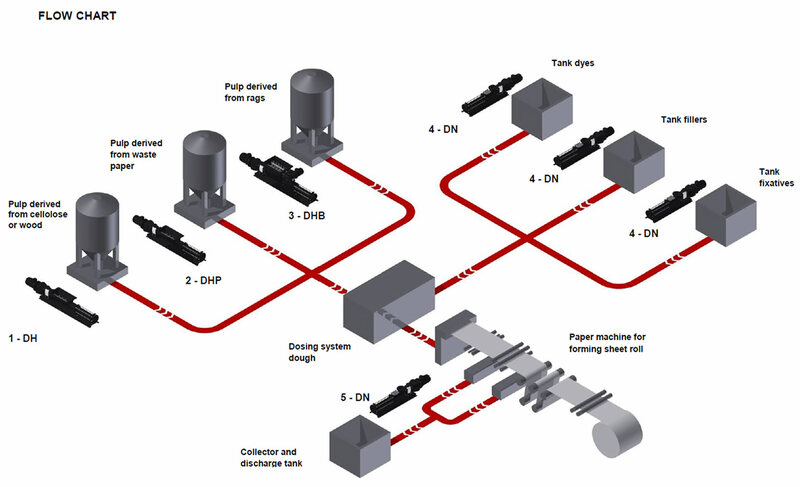 DN: industrial pumps that transfer dyes, fillers and fixatives to the pulp metering system from the various tanks. The DN pumps enable a pulse-free transfer and precise metering of the pumped substances. DN: industrial pump used for transferring the waste waters obtained from the various paper forming stages for the subsequent purification treatment. These substances can come from any of the pressing , filtering , bleaching or coating processes. 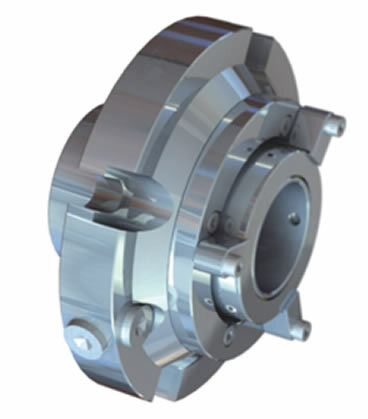 Flanged industrial series ideal for heavy duty applications. It is the best solution for the industrial sector for pumping a vast range of fluids; available with UNI, DIN and ANSI flanged and GAS BSP threaded connections. Standard model equipped with hopper and auger feed screw to move the product to the hydraulic part. Suitable for pumping materials with a low degree of flowability and prone to bridging. Model featuring a hopper with double bridge breaker shaft, joint protective sleeve and enlarged auger feed screw to move the product to the hydraulic part. Suitable for pumping highly viscous, non-flowing materials with up to 35% solids content prone to bridging or in blocks. Model with enlarged hopper and auger feed screw to move the product to the hydraulic part, ideal for pumping materials with a low degree of flowability and prone to bridging. Standard AISI 304 or AISI 316 stainless steel construction. The DN pump with high quality cartridge seal system. Seal system engineered for the Diamond series has the fundamental advantage of being quick to replace and easy to maintain.